Contact us today to discuss Challenger coaching for your people. Individual contributors, known for their functional skills, who are now being called on to lead and manage teams rather than simply do the work themselves. “Home grown” managers, valued for their personal achievements, with a history of contributions in an older business paradigm, who are novices in new business conditions. High performing managers in a circumstance of merger or acquisition tasked with blending workers from different, perhaps oppositional cultures and turning them into productive highly functional teams. New hires tasked with re-inventing team dynamics during a period of high competitive challenges. There is no time for in-fighting, new leaders have to achieve trust and buy-in quickly. Older more seasoned managers tasked with leading younger teams whose technical prowess may exceed their own. “Old dogs” can benefit from coaching to relate more effectively, and harness the skill and expertise of their more junior multi-tasking “wired” workers. Younger talent appointed to lead because of their technical expertise, but stymied at the prospect of nurturing and gaining the respect of longer tenured, legacy, mature business teams, who may not be “techies” but hold priceless institutional and industry knowledge. We coach, consult and provide coaching services within all areas of business, industry and professional services firms. 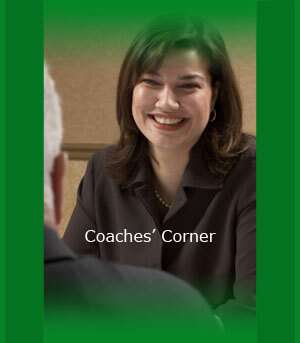 We also have a support and training service for executive coaches. All professions and industries either have or serve stress-filled workplaces, where people usually rise to leadership roles because they are Wizards or Rainmakers, Commanders or Peacemakers. In any given executive position or vertical profession, people rise to the top for a variety of factors: Wizards possess specialized technical or creative expertise and tend to rule the works, whereas Rainmakers most often “own the customer” and therefore tend to rule the relationships. Commanders rule with iron fists. Peacemakers are conciliatory consensus builders. For enduring and growing success, Wizards, Rainmakers, Commanders, Peacemakers, and their respective teams and co-workers must work well together. All management styles are vitally important, yet they each come from radically different worlds, and often without the experience, confidence and communicative skills for excellent management and leadership needed for productive interaction. This cultural leadership duality can and does cloud communication and as a result magnify work stress. Coaching is the most effective process for breaking down barriers and harnessing the power of multifaceted, talented teams. Challenger Business & Executive Coaching is the leading, most trusted resource for helping you meet that objective. © 2006 Challenger Business & Executive Coaching All rights reserved.